Following the launch of Cartoon Network Czech in September, the localized channel is now distributed by the biggest operators in the market including UPC, Digi, O2 and Skylink. With all major platforms on board and a national reach, Cartoon Network will start measuring ratings and consequently introduce ads. Ad sales will be represented by Atmedia and limited advertising blocks will appear on the channel before the summer. 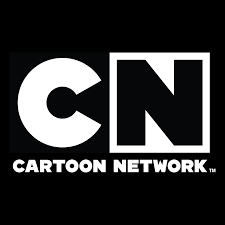 In addition Cartoon Network is broadening its services and offering a high-definition feed, which is already available via UPC, where it is carried in the digital basic tier package. ”We are delighted that kids from across the region will be able to watch their favourite shows and characters in Czech in sharp HD quality. The introduction of ad sales and the HD feed show our confidence in growth and further investment in the market”, says Matthias Heinze, Vice President Commercial and General Manager Eastern Europe & Benelux at Turner. In March, viewers of Cartoon Network are in for brand new episodes of smash-hit series such as The Powerpuff Girls and Teen Titans Go! as well as the launch of Ben 10 Challenge, a live-action gameshow which features a range of physical and mental challenges and gives fans a chance to become their favourite boy hero, Ben 10.